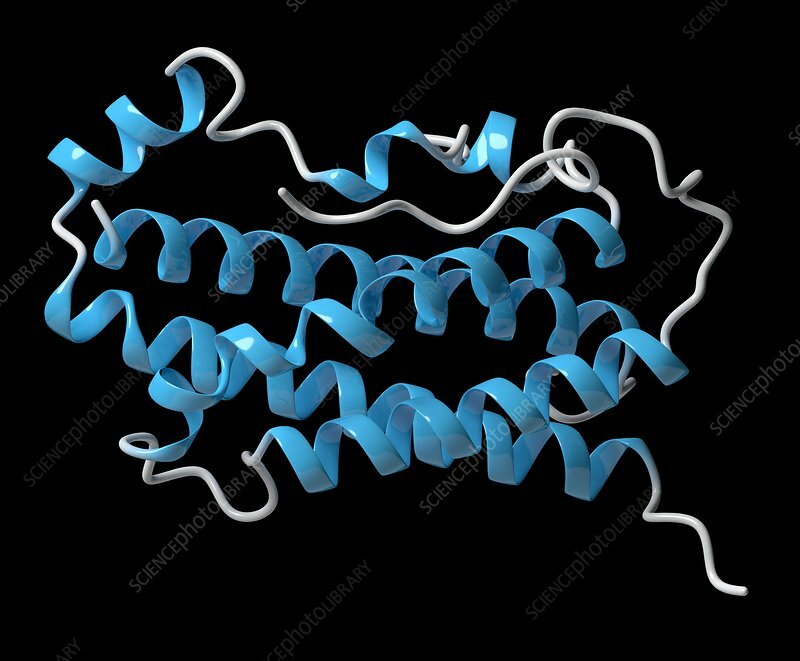 Human growth hormone (hGH, Somatotropin) protein. Natural hormone that is used both as a medicine and as a doping agent. Cartoon model, secondary structure colouring (helices blue).